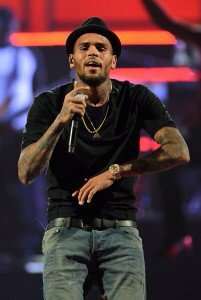 Breaking: Chris Brown Arrested for Assault in D.C.
Chris Brown was arrested for assault in Washington D.C. on Sunday morning, a police spokesperson confirms . The singer allegedly got into a “physical altercation” with an adult male outside the W Hotel, and was taken into custody for felony assault around 4:30 a.m.
We’re told a third person, 35-year-old Chris Hollosy, was arrested on the same charge, with some outlets identifying him as Brown’s bodyguard, but police could not confirm their association. The victim “sustained injuries,” and was reportedly evaluated at a local hospital. Both and Hollosy are expected to remain in jail until an arraignment on Monday, though that is subject to change. The arrest and charge could have serious implications for the performer, who is still on probation for beating ex-girlfriend Rihanna . 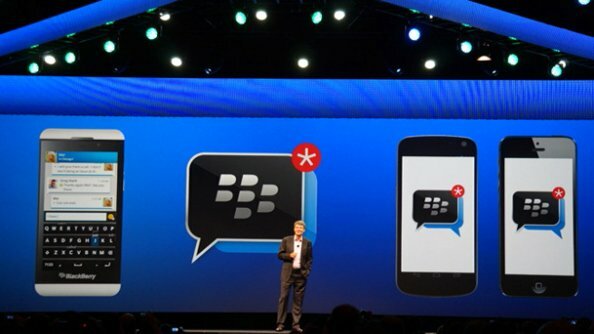 BlackBerry’s BBM for Android and BBM for iPhone apps are finally here! Well, sort of. BlackBerry finally released the highly anticipated messaging apps on Monday, bringing an end to the painful saga that was the buildup leading to BBM’s cross-platform debut . But as one wait came to an end, another began. Despite the delays, BlackBerry apparently couldn’t find a way to ready its servers for the rush of BBM activations it correctly anticipated would occur following the new app’s launch on Android and iOS. As such, the company created a queue system for BBM where users download the app, register their emails and then wait in line for their accounts to be activated. BlackBerry appears to be doing a pretty good job of tearing through those activations , but if you happen to be one of the people still waiting to use BBM, there’s an easy workaround that lets you begin using the service right away. CNET has the details, but it’s essentially as easy as entering your email address, force-closing the app and then relaunching it. Then, you should be able to create an account and start using the service immediately. For thirteen years, Cocacola was the world’s number one most valuable brand…but not anymore. In 2013, two brands took over – Apple and Google, leaving Cocacola at number three. next Monday, is from Interbrand, a corporate identity and brand consulting company owned by the Omnicom Group that has been compiling what it calls the Best Global Brands report since 2000. The previous No. 1 brand, Coca-Cola, fell to No. 3.
slogans like “It’s the real thing” has not been No. 1. “What is it they say, ‘Long live the king’?” Mr. Frampton asked. sufficient to give Coca-Cola a 14th year as Interbrand’s most valuable brand. “one that was associated with improving people’s lives,” she added. However, not all technology brands fared well. BlackBerry, which tumbled last year to 93 from 56 in 2011, has disappeared from the list. And Nokia, which dropped to 19 from 14 in 2011, finished this year in 57th place — “the biggest faller” among the 100, Mr.
Megan Young of the Philippines has been crowned Miss World 2013 . The 23-year-old aspiring filmmaker won the international competition in Bali, Indonesia on Saturday amid protests by local Muslim groups who demonstrated against the skin-baring pageant. Young was born in the United States but moved to the Philippines when she was 10 years old. She’s appeared as a television host and in movies in her adopted country. 127 contestants competed for the crown, with Miss France Marine Lorphelin and Miss Ghana Carranzar Naa Okailey Shooter , finishing second and third. Rafael Nadal defeated Novak Djokovic to win the 2013 U.S. Open on Monday night. The win marks Nadal’s 13th career grand slam. The Spanish tennis star also beat Djokovic to win the title back in 2010. A number have celebrities have taken to Twitter to congratulate Nadal on his win, such as Ben Stiller , Justin Timberlake and Enrique Iglesias . 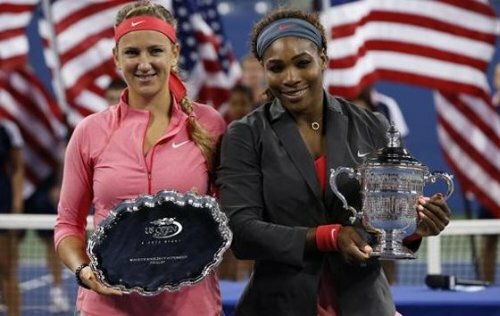 World No.1 Serena Williams today Sunday September 8th claimed her fifth US Open crown and 17th career grand slam singles title after beating world No. 2 Victoria Azarenka with a 7-5 6-7(6) 6-1. This victory makes Serena the oldest US Open women’s winner since tennis turned professional 45 years ago, eclipsing Australian Margaret Court, who was 31 years when she won the title in 1973.